When Chinese police found them in the trunk of a smuggler’s car, 33 of the trafficked pangolins — endangered scaly mammals from southern China — were still alive, wrapped in plastic bags. 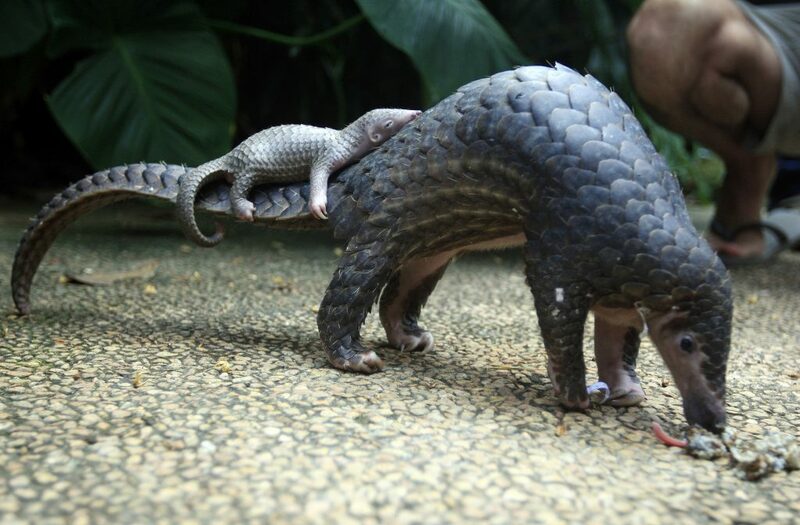 Pangolins are insect-eating, scaly mammals — playfully described by the International Union for Conservation of Nature as “resembling an artichoke with legs and a tail.” Their scales — made of keratin, the same material in human finger nails — are in high demand for Chinese traditional medicine, to purportedly cure arthritis and other maladies, although there is no scientific backing for these beliefs. In November 2017, customs officials in Shenzhen seized 13.1 tons (11.9 metric tons) of pangolin scales — reportedly the largest-ever seizure of scales from Africa — according to state media. The penalties offenders face are not always publicized, but in another case involving a smaller shipment of scales, two smugglers received prison sentences of five years, state media said.